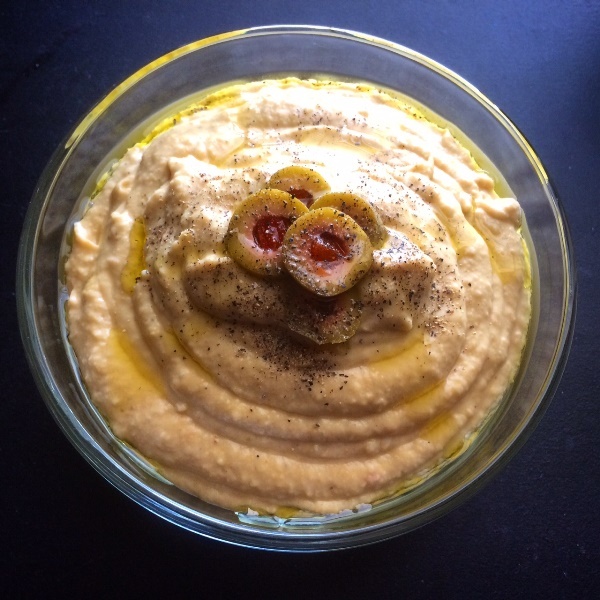 Another great hummus mixture! It has such a great flavor, low fat and so healthy for you! 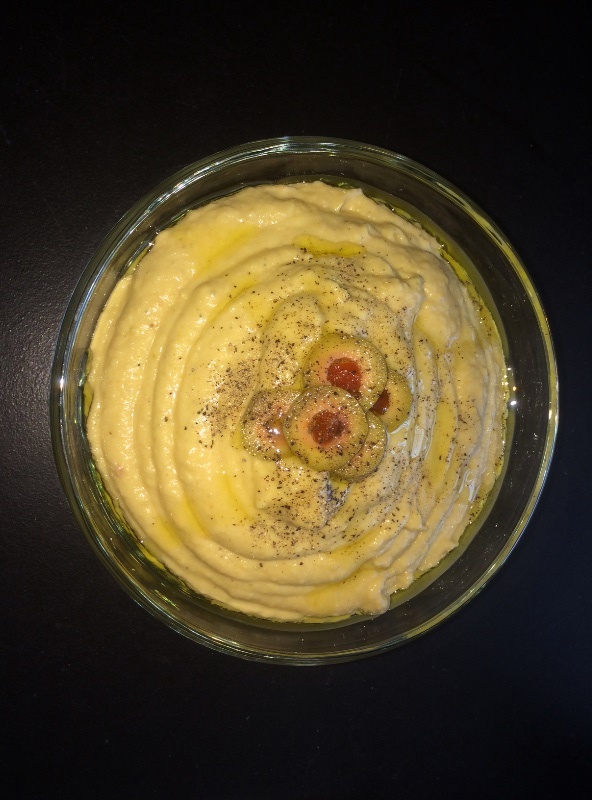 I have made this hummus both with navy beans and garbanzo beans. Navy beans a bit more creamy in texture, and garbanzo beans are drier, so the choice is up to you, both work perfectly! You can also choose how much or how little jalapenos you want in the mix. Blend all the ingredients in your high powered blender until creamy and smooth. You may have to start and stop the blender several times, in order to push down the mixture to make sure everything is fully blended. Then, you are done, hummus complete! Top with green olives and a bit more olive oil, and enjoy! Keeps up to a week in the fridge!